If you’re struggling with your budget, you want to find a way to cut costs and you think you might be able to save a buck or two in your food budget, you’re probably right. Lots of things go into creating a meal plan. As with all budgeting, your values come into play when figuring out what kind of food you want to feed your family. I have a friend who has a tremendous amount of debt but she won’t eat anything but whole, natural and organic food. It’s important to you her, and it’s something she values. She wants to be healthy and therefore she’s not willing to compromise on what she’ll eat. But, she also takes this into account when creating her monthly budget. I’ve never been a fan of budgeting gurus who just tell you to chop $400 from your $1000 meal plan to save your budget. Why? Because for most people, it’s unrealistic. That’s asking you to eliminate $100 worth of food per week, and most of us would find it tough to accomplish that goal. Instead, what I like to teach folks is how to make meaningful and sustainable cuts to your overall budget, including your food budget. So today I’m going to walk you through what a typical weekly meal plan and food budget looks like in my family. If you’re not used to looking at the weekly circular for the grocery store you shop at, start getting into the habit of reviewing it. It’s going to be one of the tools you’ll use to save money and reduce your overall spending. I shop primarily at Market Basket and Aldi’s. The Market Basket circular comes out on Thursday for the upcoming sale week that begins on Sunday. I shop at Aldi’s once a month for stock up purposes. Thursday evenings after supper I spend some time perusing the circular to see what might be on sale for the following week. I use a marker and star or circle beside what I see is a good deal based on what we enjoy eating as a family. You can see from the picture below that I’ve identified sale items that interest me and will become available during the sale period. From there I go to HowToShopForFree.net and check out the match ups. Here is where I find any coupons that match up with the sale item to maximize my savings. This includes printable coupons, coupons that come in the Sunday paper and any deals I can garner from money saving apps like Ibotta, or Checkout 51. At this point, I have a good idea of what I’ll be spending and if I can stick to my budget or not. My family or I should say, my son-in-law can be picky when it comes to food, so we make our meal plan together as a family. I let them know what’s on sale and from there we think about foods and meals we would enjoy eating the following week. I also have my stock up list handy, so I know what we currently have in the freezer and pantry that could be used for an upcoming meal. For example, boneless pork chops are on sale this week. We decide to have Parmesan Crusted Pork Chops as one of our dinners. I know I’ll make veggie and potatoes to go with it. We have some food in the freezer that needs to be used, so I add two meals from my stockpile. We continue the process of coming up with meals until we have a total of 5 meals. To round out the seven days we include a left over night and a take out night. We all enjoy leftovers for lunch, so we don’t buy too much in the way of sandwich meats. We pre-make breakfast burritos twice a month as well. We round out our breakfast and lunches with things like bagels, cereal, eggs, homemade soups and such. Once the entire meal plan is set, I begin to make my food shopping list. Use My Free Printable Weekly Meal Planner you’ll find in my FREE Resource Library. I shop according to the sales, and so I know that I will need to set aside a certain amount of money in my weekly budget to buy things that are on sale so that I can add to my stockpile. As an example, New England Coffee is on sale this week. I can save $2.00 per bag. This is a pretty good deal, not the best deal I’ve seen, but a good deal so I will buy an extra 12 bags to add to my stock. Same goes for Goldfish crackers. Lucas eats a ton of these, so I’ll buy enough to last until they go on sale again which will be in around six weeks. There are some decent buys on meats, and so I know I’ll buy extra chicken and pork chops to add to my freezer for future meals. I recognize this as I’m making my menu and it’s one of the reasons I create two meals from the food I have already purchased previously. 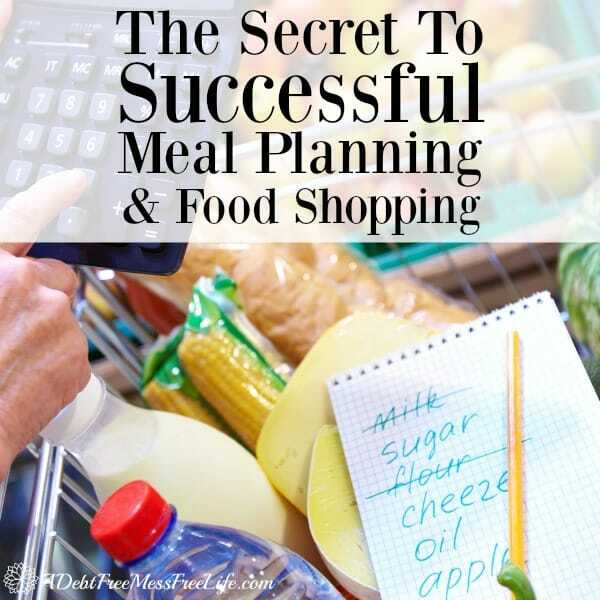 The whole time I am meal planning and creating my list I am thinking about what I want to buy to add to my current inventory, what needs to be used so it doesn’t spoil, and what is available in the current circular. All these factors go into trying to come up with a balanced food budget. Download My Free Printable Grocery List! Before I set out to shop, I look over my list and make sure I’ve identified what’s on sale, what I have a coupon for and that I did, in fact, print them, cut them and take them with me! I put an “s” next to everything that is on sale, and I put a “c” for everything I have that has a corresponding coupon. It’s my way of keeping track of how well I’m doing with buying on sale and maximizing my savings. Once I return home, I hit up Checkout 51, and the other money saving apps I have on my phone and upload the receipt so I can get the cash back for the items I’ve purchased. Then I tally it all up and see if I did, in fact, stay within the parameters I’d established for my food budget. If I did, then I’m super happy and if not, I know I need to make adjustments to future meal plans for the remainder of the month. 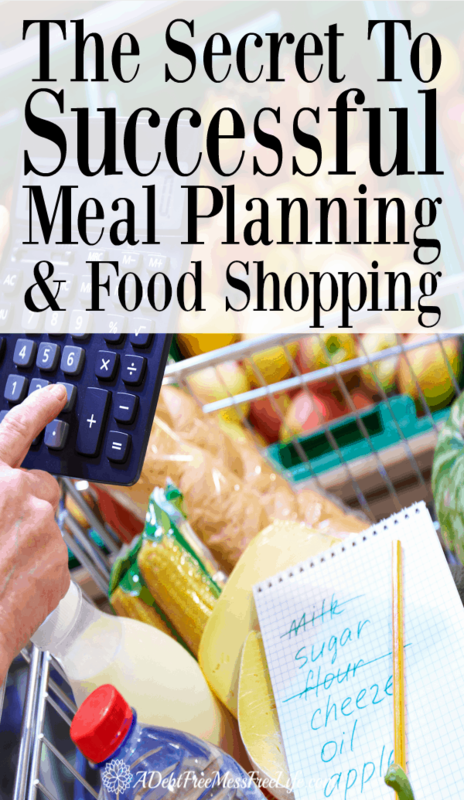 When I hit the store with my list, meal plan and coupons in hand, I realized there was an unadvertised deal that would throw a wrench in my food budget if I took advantage of it. Stonyfield Yogurt Pouches were on sale. Typically Market Basket sells these pouches for $1.39 per pack. They were on sale for 5 for $5.00. This is the best deal they have on the yogurt pouches, and Lucas sometimes eats upwards of three per day, one at each meal. I knew I couldn’t pass up this deal. I was intending on buying some but not as many as I did. I purchased 40 packets for a total cost of $40.00, but they ended up saving me $15.60. That kind of savings was totally worth me having to shell out more money than I was planning and it means that Lucas has enough yogurt to last him two weeks. I’ll hit the store again before the sale ends and buy another 40 pouches and add them to my freezer stockpile. I did end up overspending by making the yogurt purchases but will end up saving over $30 by buying them in bulk and on sale. I have quite a bit of meat and supplies on hand and can supplement with my stock so as to not go over the rest of the month. As you can see, you need to be flexible with your budget and make adjustments as you move through the month. Nothing is ever set in stone; your budget is a working, fluid document that can change when it needs to.